Three little pitchers filled to the brim with Spring flowers... how cheerful is THAT???? 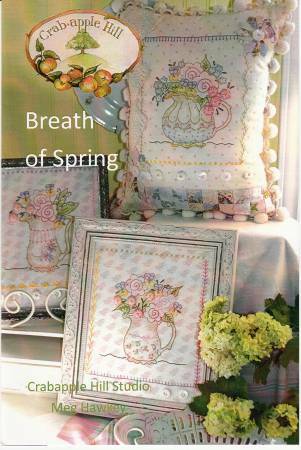 These patterns were designed with teaching stitchery in mind. A little bit of color crayon tinting, several basic stitches & a few fancier ones thrown in just for the fun of it! You'll be able to finish the designs anyway you'd like, framed, sewn into pillows, how about corners on a tablecloth? Pattern is for the 7 1/2" x 8" images only!